Tags: fire, janod, train, wooden-toys. 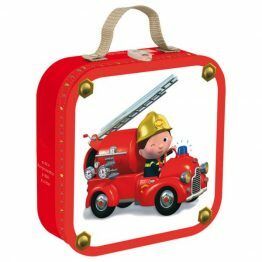 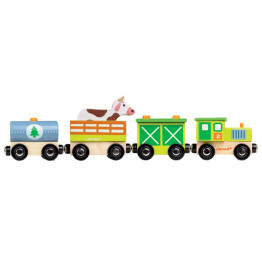 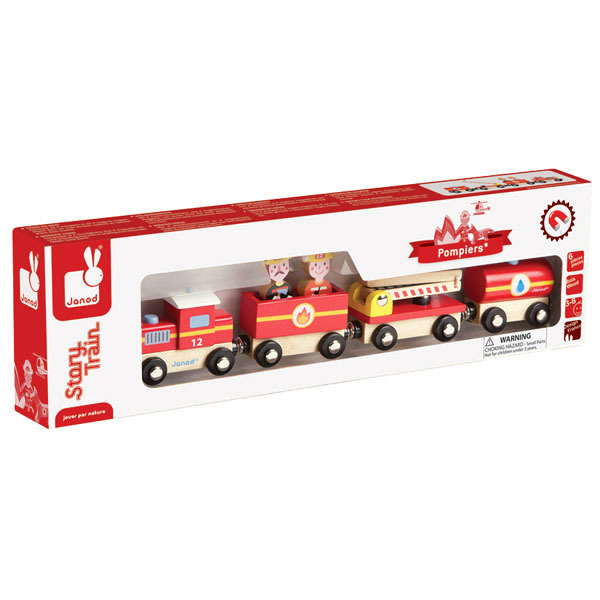 The Janod Firefighter Wooden Train will inspire kids imagination and play time. 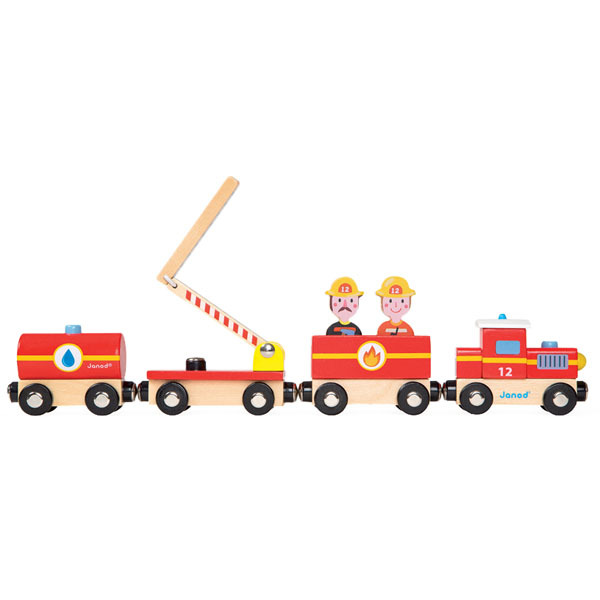 Decorated with vibrant, non-toxic paint, this wooden train has magnets to attach each carriage to the next. 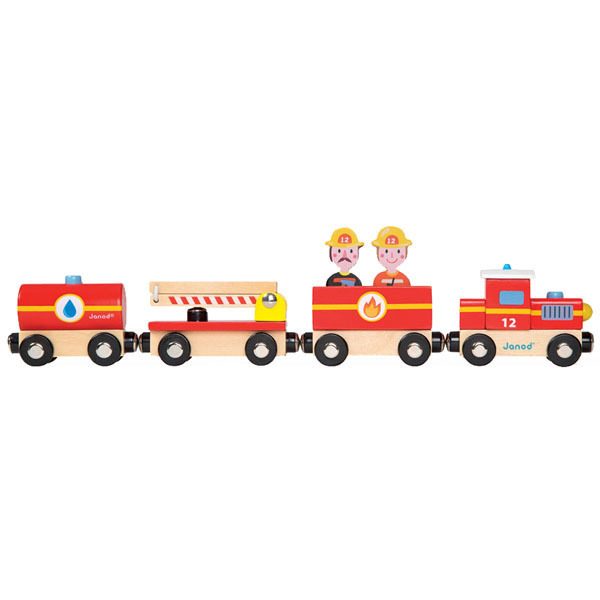 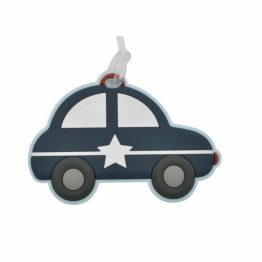 Complete with 2 firefighters in their own carriage, a locomotive, water carriage and a crane carriage whose arms extend, it has moving wheels and will be a hit in the playroom.